The Cotton Companion returns! In Episode 33, Dr. O.A. 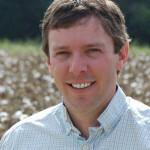 Cleveland joins Cotton Grower editors Jim Steadman and Beck Barnes to discuss the implications of the Chinese trade dispute for U.S. cotton – plus other news and features of interest to the cotton industry.